We are happy to announce that a long awaited feature has been added to our backup solutions. Starting with this update, CodeTwo Backup for Office 365 and CodeTwo Backup for Exchange are all set to back up public folders in Office 365 and Exchange environments. CodeTwo Backup programs are secure solutions that allow to save users’ mailboxes, and now also public folders data, to local drives, archive data and, if necessary, restore entire mailboxes, folders or even single items. 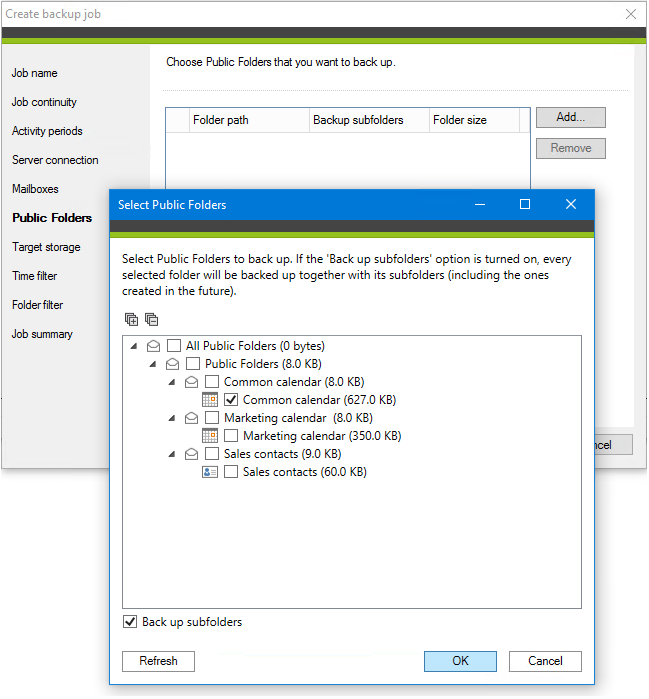 In this update, we focused on implementing a backup functionality for public folders. Now, you can freely back up data, e.g. emails, contacts or calendar items, from Office 365/ Exchange public folders to your local storages. This way you can stay assured that your data is protected against accidental deletion or malicious behavior. The screenshot below depicts the program’s wizard where you can select public folders you want to back up. More information about all changes implemented in version 1.6 can be found on version history pages of CodeTwo Backup for Office 365 and CodeTwo Backup for Exchange. How to calculate licenses for Public Folders? The application, to back up public folders content, uses one license per each 0.5 GB of public folders data on the source server per year. For example, to back up 1.5 GB of public folders you need three licenses. There are no changes in the way user’s mailboxes are licensed – you still need one license to back up one mailbox. To update your current installation of CodeTwo Backup, simply download the newest version of the application (use one of the links above) and install it on top of the existing installation. All settings will be kept. This update is free of charge for all users owning CodeTwo Backup license. If you need any additional information or have any questions, feel free to contact us! We are open 24 h/day, from Monday to Friday.